Why compromise on your property's security when you have our reliable fencing solutions? 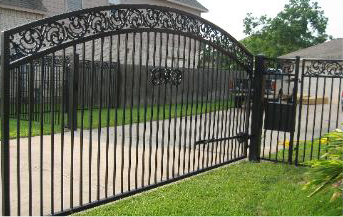 Secure access to your property with a wide variety of products from Fresno Fence. Our professional installation and quick and efficient service will keep you coming back to us. You'll find everything to suit your needs! Providing complete fencing and gate installation for over 16 years! For reliable, custom fencing solutions, give us a call! Our service areas include Houston, Bellaire, Memorial, West University, Sugar Land, Missouri City, Sienna, Pearland, Alvin, Friendswood, and more.